There was a cheeky and irreverent article in yesterday's Guardian by Ian Jack entitled, "If Boris Johnson Wins Next Week..." - Just as alienated liberal Americans saw Canada as refuge from George W Bush and his minions, Ian Jack argues, so to is Scotland beginning to be seen as a liberal and socialist haven to people south of the border in England. Just before George W. Bush was re-elected you would hear a certain kind of American say, "I can't stand the thought. If he wins I'm going to live in Canada." Like Scotland in English conversations, Canada is not a place much mentioned by Americans. What is it, after all, but some duller version of the United States situated somewhere to the north - fierce winters, lots of land and not many people, and the Queen's head on the money? But with the Bush crisis and the feeling of liberal alienation some of its virtues were remembered. Canada didn't go about the world telling it how to behave or invading those parts of it that were behaving inconveniently, which the US was morally and economically less and less equipped to do. 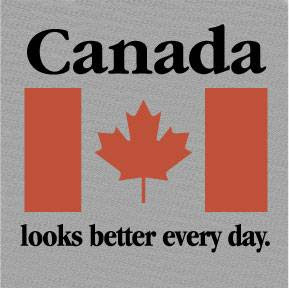 Canada had quieter manners, was more civic-minded, enjoyed enviable standards of healthcare and education. Shootings and muggings were far fewer. In these new circumstances the hush of the arrivals hall at Toronto airport seemed less a gateway to a society of almost intolerable politeness and order and more like a welcome to an idealised version of the country the traveller had just left - that is, the US minus Bush, racial difficulty, manic Wall Street and the occasional high-school massacre. "Provincial" had its up sides. So it is now with Scotland. To my mind, Scotland is the new Canada. Some clarification is needed here, because in the 19th century the opposite was true. With Lowlanders financing the transcontinental railway and Highlanders clearing the timber, Canada was the new Scotland - Nova Scotia, founded as long ago as 1621. What I mean is that Scotland is becoming to England what Canada has long been to the US, at the very least since the Vietnam draft-dodgers crossed the border. The two northerly countries share several similarities: frequent bleak weather, low population densities (the Highlands have eight people per square kilometre to Canada's three), but it is Scotland's emerging character and relationship with its bigger southern neighbour that make the case more powerfully.